Photo by Jean Potter A wood thrush perches in the upper branches of a tree. This thrush’s flute-like notes produce a haunting song from shaded woodlands. Kathy Shearer, who resides in Emory, Virginia, sent me a recent email asking for help with bird identification. “My husband and I hear this lovely bird song in the evenings and early morning close to our house, which is in the woods at Emory,” she explained in her email. She also attached an audio recording of the mystery singer and asked me to listen to the file. I did so, and from the very first of the flute-like notes, I recognized the singing bird as a wood thrush, one of the most talented avian songsters in North America.I’ve been hearing singing wood thrushes in the woods near my home during the evenings, often in the wake of some energetic but short-lived July thunderstorms. Photo by U.S. 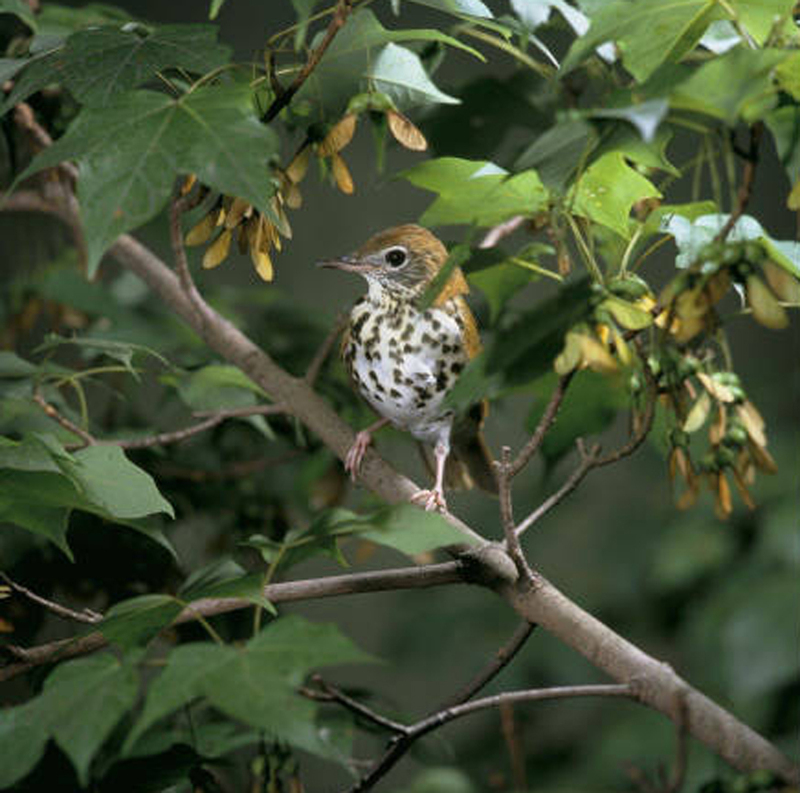 Fish & Wildlife Service The wood thrush is a shy, retiring bird that prefers to sing its melodic song from dense cover. The wood thrush has a well-developed organ called a syrinx, which is the human equivalent of a larynx or voice box. For many songbirds, such as the thrushes, this specialized organ is more like a double voice box that permits the birds to produce two notes simultaneously while singing its song. The wood thrush is one of the larger brown thrushes, which also includes such related birds as Swainson’s thrush, veery, gray-cheeked thrush and hermit thrush. Other less closely related members of the thrush family include the American robin, Eastern bluebird and Townsend’s solitaire. The wood thrush is a fairly common bird in the region from April to October. Wood thrushes migrate south in the fall, dispersing to Mexico and Central America for the winter months. The shy wood thrush does not usually venture too far from its preferred woodland habitat, but freshly disturbed soil in a garden will attract these birds as they seek out earthworms and insect larvae. Wood thrushes also feed on various fruits and berries, which means they can be attracted by plantings of suitable trees and shrubs. The poet Walt Whitman incorporated the hermit thrush and its melancholic song in his elegy to the assassinated President Abraham Lincoln. 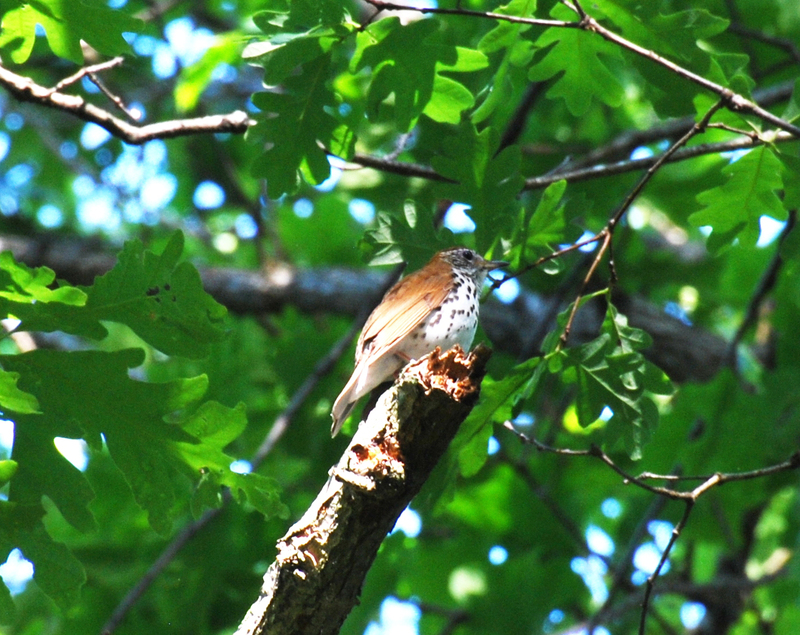 The wood thrush, like many of its relatives, sings mainly in the early morning and again in the evening hours. Listening to the song of this bird from a comfortable seat on a deck or porch is a great way to conclude the day. Naturalists often point to one of the wood thrush’s close kin — the hermit thrush — as the most gifted singer in this clan of gifted songsters. For discerning listeners, the hermit thrush’s flute-like notes are somewhat more melancholy, haunting and ethereal than even the enchanting notes of the wood thrush’s song. The poet Walt Whitman employed a thrush as a symbol in his poem, “When Lilacs Last in the Dooryard Bloom’d,” a moving pastoral elegy in honor of the assassinated President Abraham Lincoln. Whitman evidently knew his birds, and it’s not difficult to identify that he referred to the hermit thrush when he wove this songbird as a symbol into his stanzas honoring Lincoln. Photo by Bryan Stevens The hermit thrush, pictured, and wood thrush are rivals for title of best singer among North America’s songbirds. 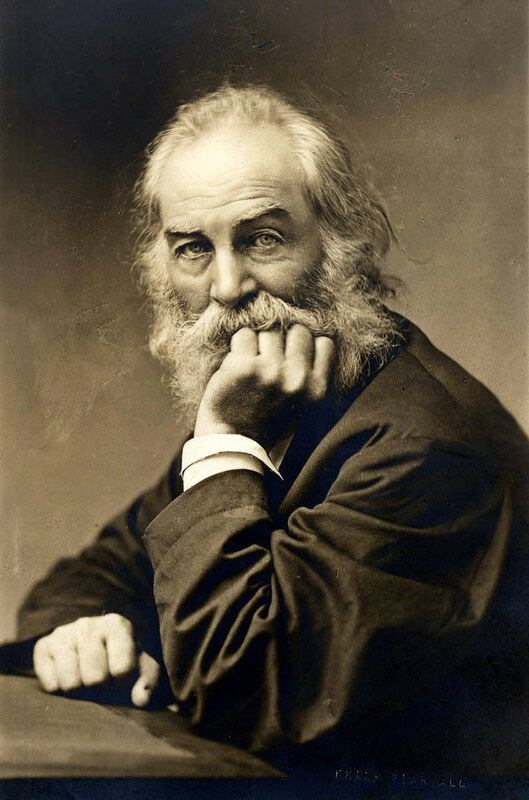 Whitman and many other Americans have been made fans of this gifted songbird. 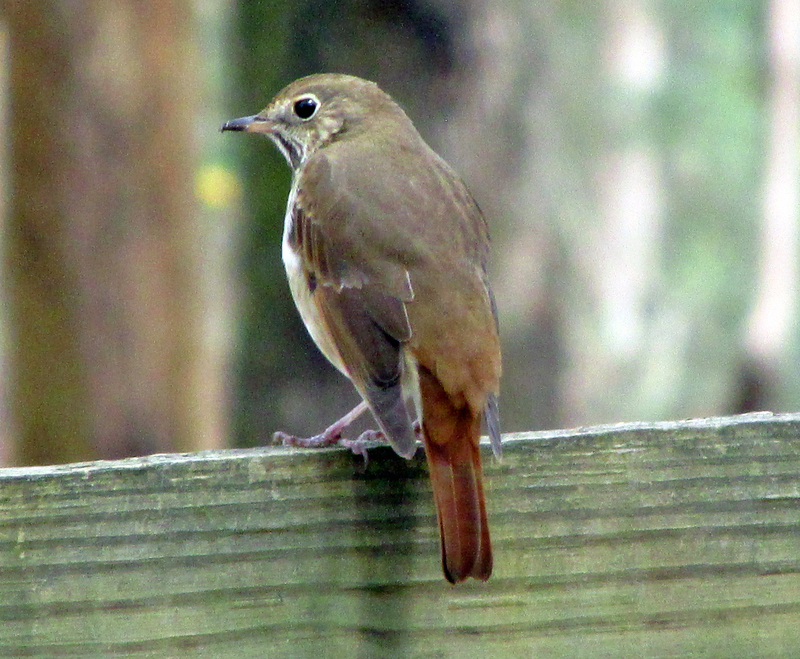 In fact, the citizens of Vermont even proclaimed the hermit thrush as their official state bird. This entry was posted in Birding, Birds, Elegy, Hermit thrush, Walt Whitman, Wood thrush and tagged Birding, birds, Bristol Herald Courier, Bryan Stevens, Carter County Compass, Elegy, Elizabethton Star, Erwin Record, Feathered Friends, Hermit thrush, McDowell News, Our Fine Feathered Friends, Songbirds, The Erwin Record, Walt Whitman, Wood thrush on August 7, 2016 by Bryan Stevens.